The integrated aerial photography platform combines DJI’s M600 drone with Hasselblad’s A5D medium-format aerial camera. 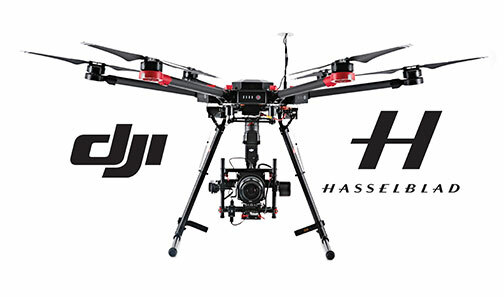 Union, NJ—DJI and Hasselblad unveiled their fully integrated high-end aerial camera/platform bundle. 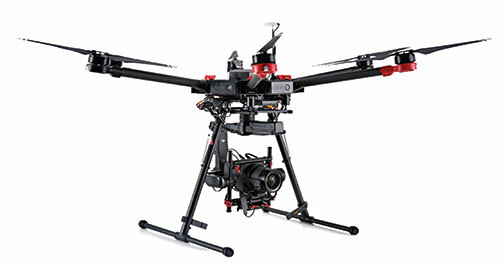 Hasselblad’s medium-format A5D aerial camera and DJI’s Matrice 600 professional flying platform make up the bundle. The camera/drone bundle is the first joint product following DJI’s recent investment in Hasselblad. 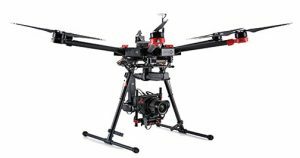 The combination of the Matrice 600 (M600) drone and the A5D provides users with advanced optics as well as sensors integrated with one of the most popular aerial platforms. Hasselblad’s compact A5D is available with a 50 megapixel CMOS sensor and modified HC 3,5/50mm-II lens (with the focus locked on infinity). Hasselblad completely reengineering the camera with no moving internal parts, to prevent any unintentional movement that may occur due to aircraft vibration during shooting. The M600 is DJI’s new modular drone designed for professional aerial photography and industrial applications. Furthermore, it is built to closely integrate with a host of DJI technologies for maximum performance and quick setup. These include the A3 flight controller, the Lightbridge 2 Professional HD transmission system, six intelligent batteries, a battery management system and a dustproof propulsion system. The drone is fully compatible with DJI’s advanced gimbal system, the Ronin-MX. The M600 works with the DJI GO app as well as the new DJI Assistant 2. This allows users to see a live HD view, battery status, redundancy status and transmission strength, straight from the app. DJI GO is also the control center for the camera. The DJI Assistant 2 supports firmware updates and the new ground station, and it comes with a built-in flight simulator.